Active managers have been under competitive pressure from passive products like ETFs for years. 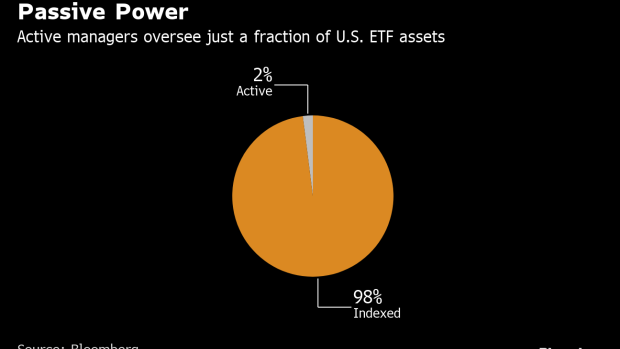 Stock pickers have largely watched as the funds grew into a US$3.8 trillion industry, unwilling to start an ETF that would reveal their holdings and allow competitors to guess their strategy and possibly front-run their trades. The broader effects and potential risks of limited-disclosure funds is still unknown, according to Ty Gellasch, executive director of Healthy Markets, a money manager advocacy group.